Transportation to Hobby Airport is offered. MainStay Suites' Texas Medical Center/Reliant Park is an affordable extended stay hotel located less than two miles from the Texas Medical Center. 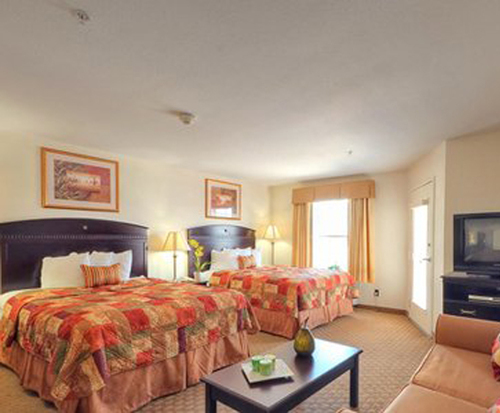 This quality hotel offers the following amenities to make your stay comfortable and hassle-free! We work hard to create a friendly and helpful environment for you and your family. After settling into your smoke-free suite, check out our fitness center and outdoor pool, browse our gift shop, or catch up on work in our business center. We offer a daily hot continental breakfast with both healthy and hearty options. Our hotel is handicapped accessible and a first-aid trained professional is always on site. Each suite has high-speed internet, cable TV and DVD player, and Pay-Per-View movies. 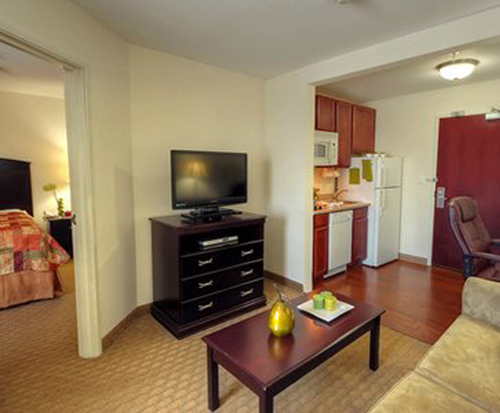 Our rooms also have kitchen facilities, including a coffee maker, refrigerator, and microwave. We offer free local calls and voicemail. Complimentary shuttle service is available to locations within three miles, including to and from William P. Hobby airport, the Texas Medical Center, Reliant Stadium, Lakewood Church, and the Houston Zoo. Here are some great eateries less than two miles away: Chipotle Mexican Grill, Denny's, the Olive Garden, and Seafood King Restaurant. 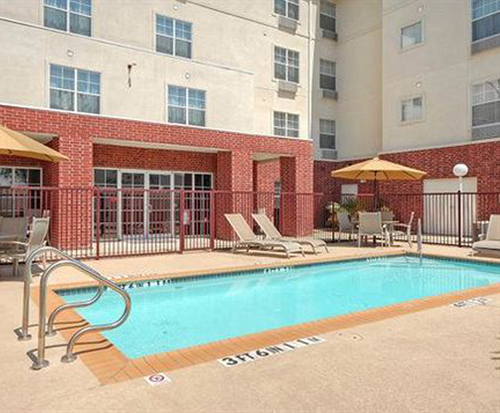 We are just five miles away from Downtown Houston. Make plans to visit MainStay Suites' in Houston, Texas, today!